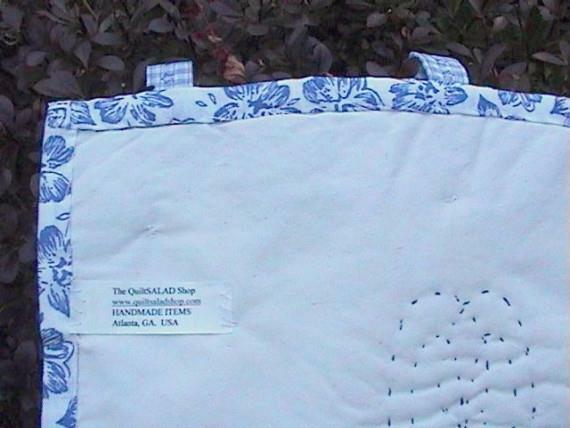 This is a pretty new blue and white embroidered bluework geese quilt that I made. The bluework was done entirely by my hands. The boy is wearing a blue ribbon. The girl is wearing a pink ribbon. I think that I did an EXCELLENT job in creating this one. This is my ORIGINAL design, and one of a kind. 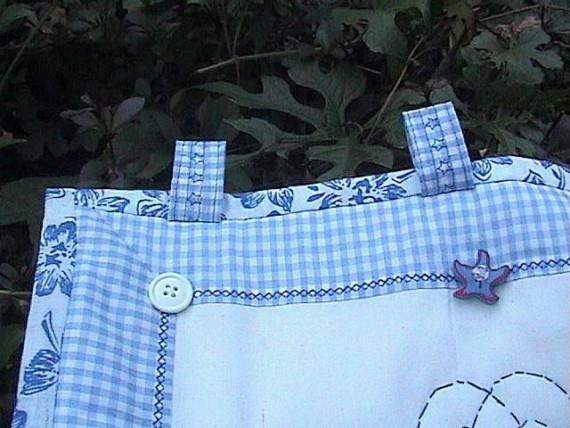 The buttons and bows were added as superb embellishments. There are 3 slots for wall hanging. This is a real beauty, and great as a gift, heirloom, or collectible item. It is one of a kind that will not be duplicated. All fabrics are good quality Cottons. The bluework is done on a natural muslin background. 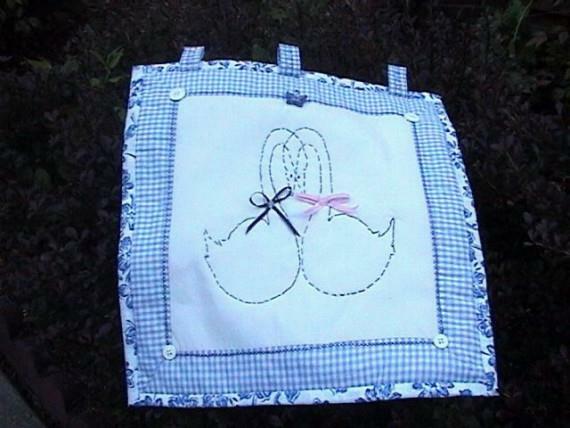 Made with all nice new fabrics.